Hilo designer Kūha‘o Zane is navigating his own path in both the design and Hawaiian cultural worlds. 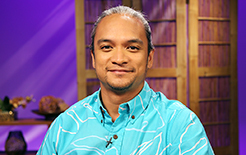 On his mother’s side, he is descended from an unbroken line of Kanaka‘ole cultural practitioners, while his father, Sig Zane, is a renowned clothing designer. Hear how he draws on his Hawaiian roots while approaching his design work with a modern vision. Growing up in the crowded, rundown tenements of downtown Honolulu, Mahealani Wendt witnessed the poverty of the Native Hawaiian people around her. That ignited a passion to help, and she spent more than three decades fighting for Hawaiian rights, with a long run as the Executive Director of the Native Hawaiian Legal Corporation in Honolulu. Today she lives in Hāna, Maui, and is a poet and author. 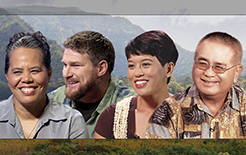 On this special episode of Long Story Short, we look back at conversations with three of Hawai‘i’s contemporary authors. We revisit our 2011 interview with Chris McKinney, whose gritty, semi-autobiographical novels, like local best seller The Tattoo, depict the dark underbelly of paradise. Acclaimed novelist Susanna Moore, whom we interviewed in 2012, draws inspiration from her Hawai‘i upbringing, calling forth both beauty and danger in her writing. 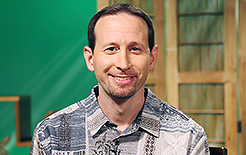 Our 2008 guest, storyteller and historian Gavan Daws, has made a lasting impact on Hawai‘i’s literary scene with his book Shoal of Time: A History of the Hawaiian Islands, which remains the bestselling history of Hawai‘i. 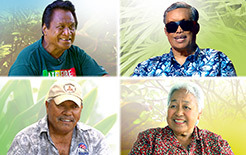 These “wordsmiths” have built careers weaving stories of Hawai‘i in distinctive, personal ways and have proven exceptional at bringing these stories to the page. Hear how they approach their craft and get a glimpse into their literary lives. Documentary filmmaker Ciara Lacy was valedictorian of her graduating class at Kamehameha Schools and Yale University alumna is the daughter of a Native Hawaiian activist. 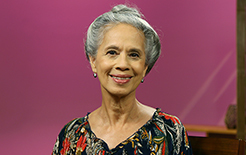 Lacy’s love of storytelling and social justice causes began in Central Oʻahu with an electric typewriter, and led her to New York and Los Angeles and work on a succession of films and other media projects. 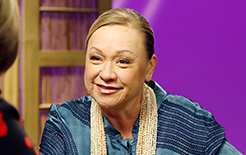 A painful medical condition forced Lacy to reevaluate her life and return to Hawaiʻi. She underwent treatment and found a new source of inspiration in a story about Hawaiian men trying to reconnect with their native culture as inmates who’d been shipped to an Arizona prison. This drove Ciara (pronounced Kee-ah-rah) to create the documentary film Out of State, with colleague Beau Bassett, chronicling the journey of two released prisoners returning to Hawaiʻi to make a new start. 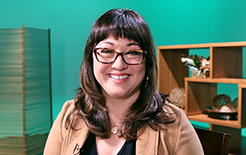 This May, Lacy’s documentary will premiere nationally on PBS stations, including PBS Hawaiʻi, on the film series Independent Lens. 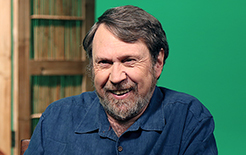 New York Times bestselling author Daniel James Brown has a knack for taking intriguing, but often overlooked, stories in history and crafting them into compelling non-fiction narratives that grip readers around the world. The Boys in the Boat author reflects on his unconventional journey to becoming a writer, and the satisfying rewards of looking to the past for inspiration. Musician, singer and dancer Nani Lim Yap tells how her Lim family’s music grew from an entertaining pastime to a career that takes them around the world to perform. She also reminisces about her upbringing in Kohala, Hawai‘i Island, and the way she keeps the traditions and stories of her ancestors alive as a kumu hula. Kukui and Gary Maunakea-Forth of O‘ahu, Stacy Sproat-Beck of Kaua‘i and Richard Ha of Hawai‘i Island have built ‘āina-based enterprises focused on building better communities. 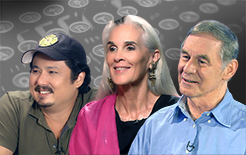 Hear how these visionaries behind MA‘O Organic Farms, Waipā Foundation and the former Hamakua Springs Country Farms have put their values to work for the greater good. 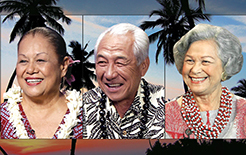 Before their music reached audiences around the world, Marlene Sai, Danny Kaleikini and Emma Veary were known as staples of the local entertainment scene. Hear these three entertainers discuss the beginnings of their music careers in Waikīkī and other Honolulu venues.